The spring 2019 Department of Music Concert Series at SUNY New Paltz is officially under way, kicking off with an evening of piano four hands on Feb. 5 and presenting more than 20 diverse performances before the May 12 finale. A Musical Refuge Under the Stars, Thursday, Feb. 21 at 6:30 & 7:30 p.m. in John R. Kirk Planetarium. This special planetarium show features New Paltz music students exploring the wonders of the universe at the campus planetarium. Students will perform Arvo Pärt’s “Spiegel im Spiegel” and “Fratres” under the direction of Professor Alex Peh, as well as improvised pieces inspired by the show. These shows are free, but RSVP is required. 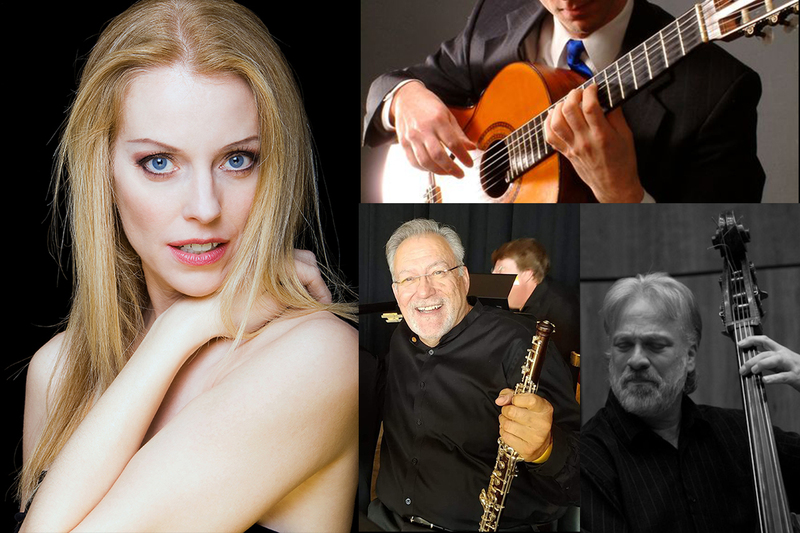 The Expressive Oboe, Tuesday, Feb. 26 at 8 p.m. in Studley Theatre. Associate Professor Joël Evans will present a lecture and oboe recital to take audiences on a historical journey through the baroque, classical, romantic and contemporary eras. The performance will feature music by Hotteterre, Mozart, Schumann and Hindemith, with pianist Ruthanne Schempf and other distinguished music faculty. Musical Pairs for the Classical Guitar, Thursday, Feb. 28 at 8 p.m. in Shepard Recital Hall. Department of Music faculty Greg Dinger presents guitar music from the Renaissance to the 20th century in various pairings, from composer-indicated to performer-chosen matchings. Be sure to drop in on the free demonstration at 5 p.m., to catch Dinger previewing the program in a range of distinct guitar styles. Love is Where you Find It, Tuesday, March 26 at 8 p.m. in Studley Theatre. Enjoy an evening of love and romance with Gian Carlo Menotti’s hilarious opera “The Telephone” and the enthralling “Liebeslieder Waltzes,” Opus 52 by Johannes Brahms. Performers include soprano Nancy Allen Lundy, mezzo-soprano Teresa Buchholz, tenor John Kawa and baritone Kent Smith, with Alex Peh on piano. Syracuse-Hetko-Siegel Jazz Trio, Tuesday, April 23 at 8 p.m. in Studley Theatre. Department of Music jazz faculty Rich Syracuse and Jeff Siegel join with award-winning guest pianist and composer Nick Hetko for an evening of classic and modern jazz repertoire, including original compositions and exciting interplay. The Spring 2019 Department of Music Concert Series will also present a number of student performances, large ensemble events with musicians from the broader Hudson Valley community, and a solo piano recital from the 2018 winner of the College’s annual PianoSummer competition. Tickets for Music Concert Series events are $8 for the general public; $6 for senior citizens age 62+, faculty and staff, and college alumni; and $3 for students. Tickets are available online at the School of Fine & Performing Arts Box Office, and can always be purchased one hour prior to show time in the venue’s lobby. For a full listing of all Music Concert Series events, visit www.newpaltz.edu/music/concertseries.html.